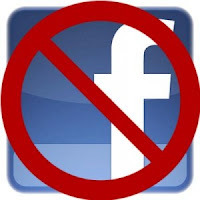 Tajikistan, a country that separated from Uni Soviet long ago, finally blocks Facebook. The local telecommunication authority orders the internet service provider to block Facebook since its community groups criticised the president of Tajikistan, Imomali Rakhmon. This country which is located in Central Asia, is well-known as the country that closely monitors cyberspace. It has been feared that the protest or criticism would be circulating on the internet and lead to the revolution just like happens in Arab country. An internet service provider manager, who declined his name to be publicated, said that he could not argue with the order from the country. Facebook has good popularity in Tajikistan, where the numbers of users grown 2 times bigger than the last year. The president is also known that he do not hesitate to restrain journalists who criticise government. So that beside Facebook, there are also two locat news website that been blocked. 1 response to "Tajikistan Blocks Facebook"
Wow, very strict regulations in tajikistan.